This is the Fresh 48 hospital newborn session that spanned four states. No, really! FOUR STATES. Let me explain... It started in Massachusetts, when I left my then-home, driving all the way up to Lebanon, New Hampshire to meet this sweet little family at Dartmouth-Hitchcock Medical Center. They drove to the hospital all the way from Rutland, Vermont to deliver their baby girl. After their session, I drove down to Saratoga Springs, New York to sign papers with my husband and celebrate the purchase our first home! It was a busy, busy day and so full of celebration. I am excited to finally share this baby girl's session on the blog today! With everything that has been going on with moving our lives and my business to a new state, I can't even believe that it has taken this long to blog this sweet girl's session. Many apologies for the delay, but here she is. Beautiful, perfect, tiny little Addison Olivia. I simply adored this family. They were the absolute sweetest, welcoming me into their lives and inviting me into their hospital room for a newborn session to celebrate their baby girl's arrival. We chatted, laughed, snuggled up with the baby, and created so many beautiful memories together. 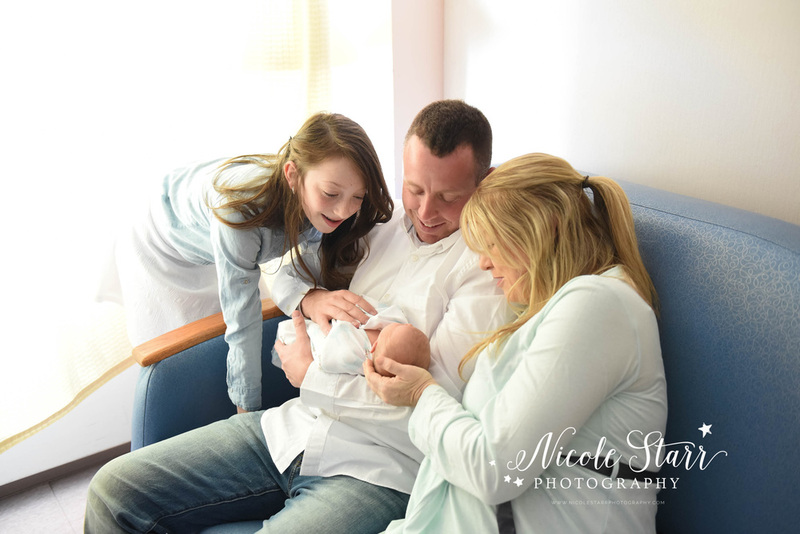 This session was so important to them, and they truly wanted to capture Addison's arrival into their lives by documenting these moments and preserving them with keepsakes for their family to pass down to her one day. It really stuck with me when they told me that they opted not to receive a 3D ultrasound because they wanted to save some element of surprise for her arrival. They knew her gender, they knew her exact due date, and they knew her name. But they wanted to get to know her and see what she looked like face-to-face, rather than with a 3D ultrasound. So they asked me to join them for a Fresh 48 session at the hospital to capture those moments when they got to know their little girl for the first time. I just love watching them get to know their daughter & sister, memorizing every detail and soaking up her newness. Welcome to your family, Addison. Welcoming new life is such a magical experience, and watching big sister Hailey with her baby sister was just that. Pure magic. Hailey's mom asked her to sing a lullaby to her sister, and she stood over her bassinet and let the soft melody wash over everyone in the room. We were all completely mesmerized by the moment that unfolded between these two sisters. One of the things that I love doing while editing my Fresh 48 sessions is editing a handful of photos in black & white. These sessions are filled with so many emotions, and sometimes color can compete with the emotions in your photographs. When you convert the image to a clean B&W, all of the focus is on the powerful emotion, the story, the love.